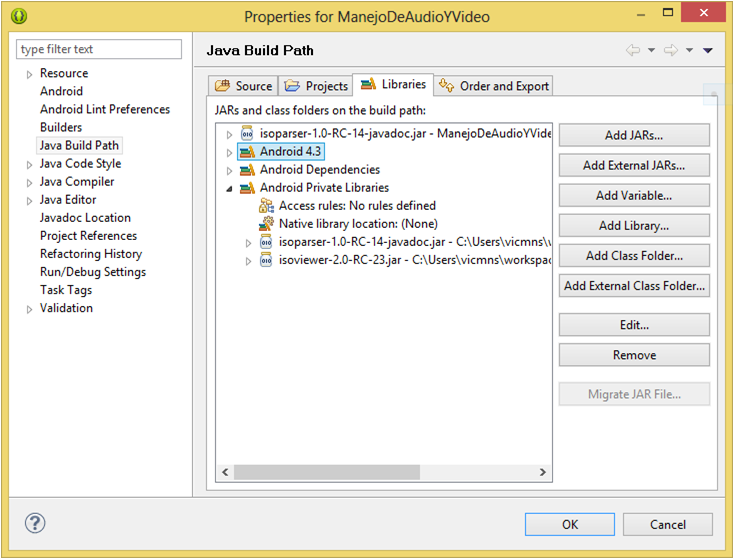 In the previous blog post, we presented two solutions that work with media files on the Android Mobile App platform, especially videos files. 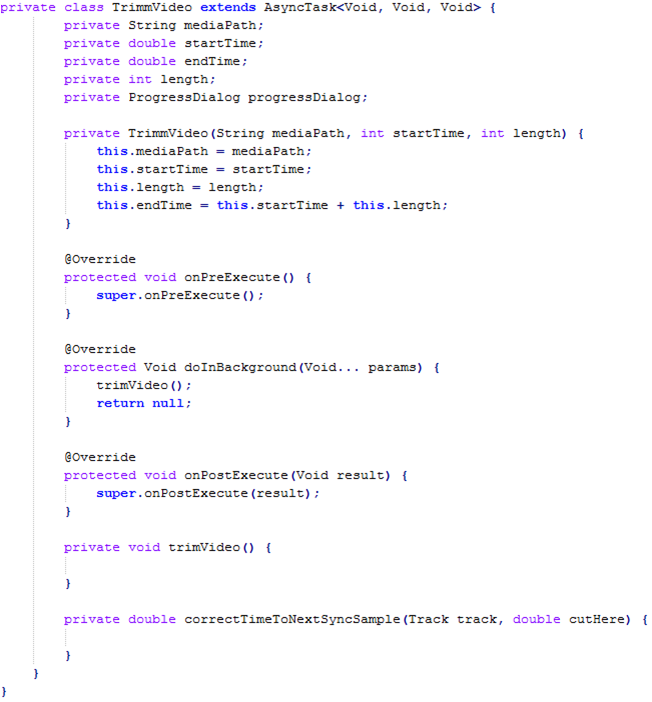 In this post, I will present a guide for merging and trimming video files using MP4parser. All source codes can be found on GitHub. The first thing that we must do before we start programing our mobile app is to download the mp4parser libraries from the project page right here. For this example, we will need ISOViewer and ISOParser, which is provided in the URL mentioned above. 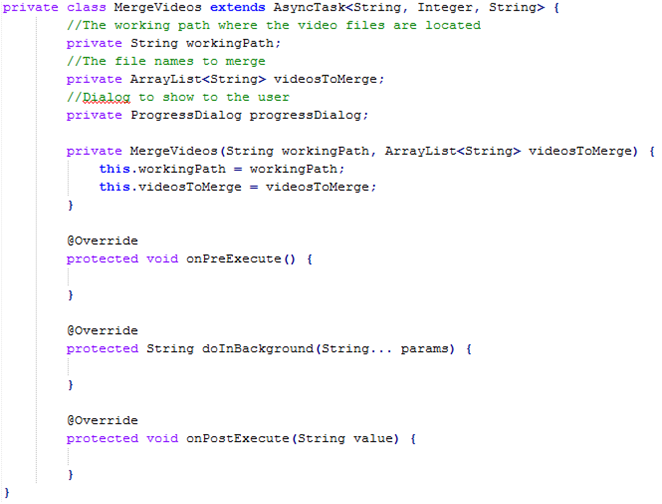 The first code example that we will be working with is to merge video files. We must remember that working with media files types is an exhaustive job. We must implement all our classes in a separate thread so that we can leave the main visual application unfrozen. 1. For each video file we must create a Movie object containing all the information as video and audio tracks of such video. a) Get every video track and stack them in a list. b) Get every sound track and stack them in a list. 3. Create a new Movie placeholder and add the movie and audio tracks stacked previously. 4. Write the new Movie object to disk, thus creating the new merged video. Where count, is the number of videos to merge and inMovies is the array of Movie objects. 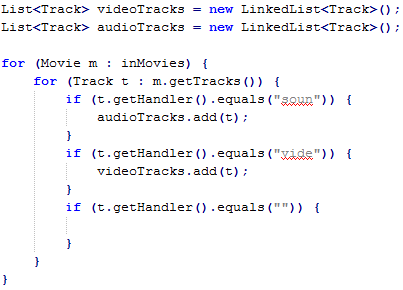 The “for” loop will get all the video files references, generating the Movie objects and adding it to the array. And now our newly created merged video is ready to be reproduced! 1. For each track in the video, get the correct start time from all the tracks, since where are using mp4 files, this is a required process in order to trim the complete video. 2. 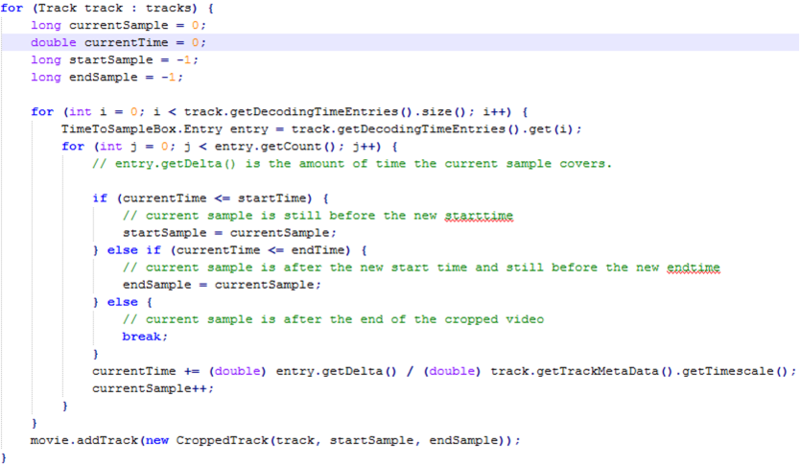 For each track in the video, crop the track with a start and end sample time and add it to a new Movie object. 3. Write the newly created movie to the disk. And that’s it. 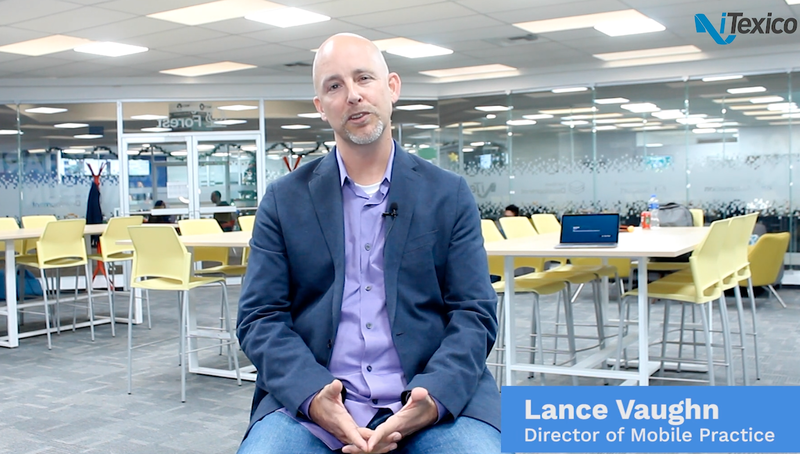 We now have a newly cropped video created from a larger one! As mentioned in the previous post, one of the main drawbacks of this library is that it can only work with MP4 files. Luckily for us, all android devices record video files in such format, so this is a good option when working with this kind of media. However, this library does not give support to transcode and/or compress media files, which in many cases, is an important task to do before uploading media files to the cloud. In this case our best option is to use ffmpeg which is our next topic of discussion. Till next time! *Thanks to the mp4parser project for keeping this excellent library (). *All codes were based on the demos provided by the library web page. *More about the mp4 format here. Victor Cervantes is an Android developer with 1+ years of experience with the Android mobile platform. He has a Masters Degree in Computer Science specializing in optimization problem solving. He is an Appcelerator Titanium Certified Developer (TCD) and currently works at iTexico as an Android Developer.